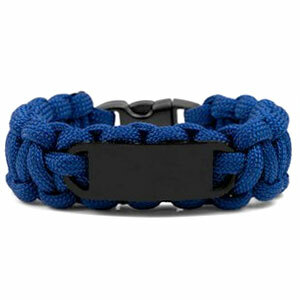 This blue bracelet not only contains paracord - a strong material also known as parachute cord - it also happens to be quite trendy! In extreme cases, this bracelet can be cut to create a strong rope for multiple uses. Unable to reassemble after its been cut. Laser engrave for unique personalization.